“Under the Muslim Law, a mosque is a place where prayers are offered publicly as a matter of right. It neither requires any structure nor any particular mode of the structure is provided. Even on open place prayers may be offered and it would be a mosque”, Senior Counsel Rajiv Dhawan interjected, “that is the most criticized judgment on religion...let us not go down that road”. 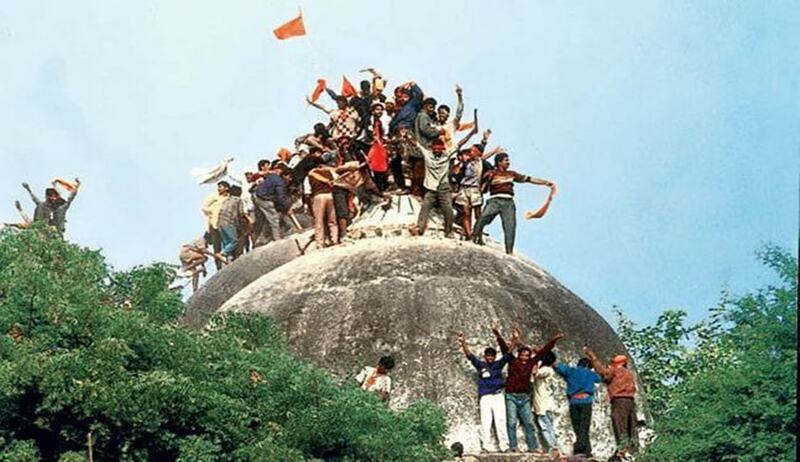 As the hearing in the string of appeals challenging the 2010 verdict of the Allahabad High Court in the Ram Janmabhoomi-Babri Masjid dispute resumed on Thursday, Senior Counsel K. Parasaran responded to the appellants’ contentions on the concepts of ‘essentiality’ and ‘integrality’ of a religious practice as cited in Ismail Farooqui (1994), implying that there is no distinction between the two. Advancing submissions before the Supreme Court bench of Chief Justice Dipak Misra, Justice Ashok Bhushan and Justice Abdul Nazeer on whether the 1994 judgment required reconsideration by a five judge bench, he stated, “The seven judge bench (in The Commissioner v. Sri Lakshmindra Thirtha Swamiar of Shri Shirur Mutt; 1954) has considered the ‘essentiality’ of a practice to a religion, while several subsequent judgments have favoured the idea of ‘essential’ and ‘integral’ parts of a religion...but the question is whether it is only a religious practice or something more”. In the light of Ismail Farooqui, he elaborated, “To offer the Namaz is an essential practice, but to offer it at the Mosque may not necessarily an essential practice, though it is a practice...this is the distinction...prayer is essential, but the structure may not be essential...”, drawing the attention of the bench to the right under Article 25 being ‘subject to public order’. When he sought to quote that “Under the Muslim Law, a mosque is a place where prayers are offered publicly as a matter of right. It neither requires any structure nor any particular mode of the structure is provided. Even on open place prayers may be offered and it would be a mosque”, Senior Counsel Rajiv Dhawan interjected, “that is the most criticized judgment on religion...let us not go down that road”. Mr. Parasaran, on Thursday, indicated the order dated January 27, 1993 of the Supreme Court five judge bench in connection with the Presidential Reference for opinion on the existence of a Hindu religious structure on the disputed site in Ayodhya- Although the bench, in Ismail Farooqui, eventually declined to answer the reference, public notice to all interested parties was issued, besides individual notices to the Union of India, the state of Uttar Pradesh, the Advocates General of all states as well as the parties to the suits ultimately adjudicated by the Allahabad High Court in the impugned judgment. “Even in the Presidential Reference, where there is no right of audience, notice was issued to all parties”, he advanced. In the course of the hearing, Mr. Parasaran cited several authorities to buttress his submission that the Doctrine of Representation precludes from resuscitation interests which were represented in a judgment tendered, in the light of the appellants seeking a reconsideration of the 1994 Ismail Farooqui judgment by a larger bench. He placed reliance on the judgment in Ahmed Adam Sait & Others vs Inayathullah Mekhri (1963), where, in context of a suit filed under section 92 of the CPC by plaintiffs claiming to represent the Sunni Muslim population of Bangalore and praying that a scheme should be settled for the proper administration of the Jumma Masjid, Bangalore, it had been observed that a reading of section 11 and its Explanation VI, section 92 and Order 1 Rules 6 and 8 of the CPC confirms that to ascertain if a decree in a representative suit creates the bar of res judicata against persons claiming an interest not represented, it is essential to inquire which interests were represented by the plaintiffs or the defendants in the suit. “Section 11 and Explanation VI appended thereto, section 92 and Order 1 Rules 6 and 8 of the CPC are on the Doctrine of Representation...Your Lordships may examine whose interests are represented in (Ismail Farooqui)...”, submitted Mr. Parasaran. Continuing in the same thread, Singhai Lal Chand Jain (Dead) v. Rashtriya Swayam Sevak Sangh (1996) was referred to. In N.K. Mohammad Sulaiman vs N. C. Mohammad Ismail (1965), the question that arose for consideration was whether, in a suit to enforce a mortgage, instituted after the death of a Muslim debtor, wherein one or more of his heirs are not impleaded and a decree is obtained, what passes to the auction-purchaser is only the interest of the heirs who were impleaded, because each heir is, under Mohammedan law, liable to satisfy the debts of the deceased proportionate to his share in the estate. It was held that the appellant, thought not made party to the suit, was sufficiently represented therein and the question was not to be determined on the personal law. Thereupon, Mr. Parasaran quoted from the 1985 judgment in M/S Shenoy & Co. v. The Commercial Tax Officer, wherein numerous petitions challenging the constitutionality of the Karnataka Tax on Entry of Goods into Local Areas for consumption, use or sale therein Act, 1979 were disposed off by a common judgment of the High Court, and the state of Karnataka had preferred appeal against only one petitioner. It was held that all the writ petitioners shall be bound by the verdict of the Supreme Court repealing the challenge to the Act, in view of the expanse and all-pervasiveness of Article 141. The observation of the five-judge bench in Daryao v. State of UP (1961) was relied upon- that Where the High Court dismisses a writ petition under Article 226 after hearing the matter on the merits on the ground that no fundamental right was contravened or that its contravention was constitutionally justified, a subsequent petition to the Supreme Court under Article 32 of the Constitution on the same facts and for the same reliefs filed by the same party would be barred by the general principle of res judicata. “It (Ismail Farooqui) is a Supreme Court judgment which would bind the (Allahabad) High Court in the disposal of the suits”, commented the Senior Counsel. The 1964 Gulabchand’s case was also cited, in so far as it was held therein that, On general principles of res judicata, the decision of the High Court on a writ petition under Article 226 on the merits of a matter, after full contest, will operate as res judicata in a subsequent regular suit between the same parties with respect to the same matter. “If the subject matter is the same, the distinction of a writ petition and a suit is immaterial”, remarked Mr. Parasaran. In the light of State of UP v. Nawab Hussain (1977), he advanced that the principles of res judicata and constructive res judicata operate in respect of issues decided in a litigation as well as issues which are clearly a part of the subject matter of the litigation. Pointing out that the principle of res judicata also applies to different stages of the same proceedings, he indicated the judgment in Ishwar Dutt v. Land Acquisition Collector (2005). On Thursday, veteran lawyer Mr. Parasaran remarked, “it does not matter if there is a 2, 3 or 5 judge bench...Your Lordships judgments command respect and obedience”. Dr. Dhawan also submitted that his usage of the term ‘questionable’, in context of the Ismail Farooqui judgment, be substituted by ‘controversial questions of law’. The matter is next scheduled for hearing on July 6.